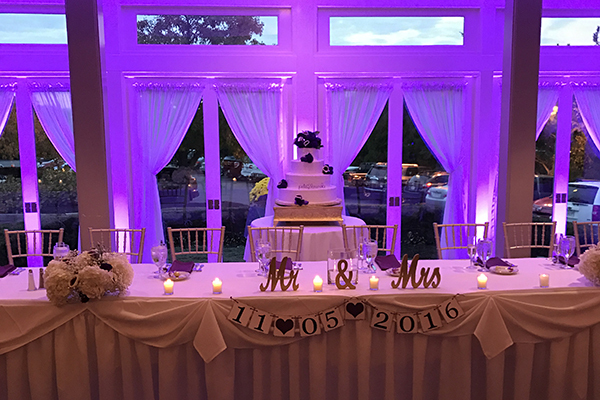 DJ Mike Janedy now offers Elegant Uplighting that will enhance and set the mood for your reception. We can customize the lights to match your color scheme or theme. We use Wireless, Battery-Operated LED Lights – which means no cables running across the floor and no hot bulbs. Call for Special Package Pricing!